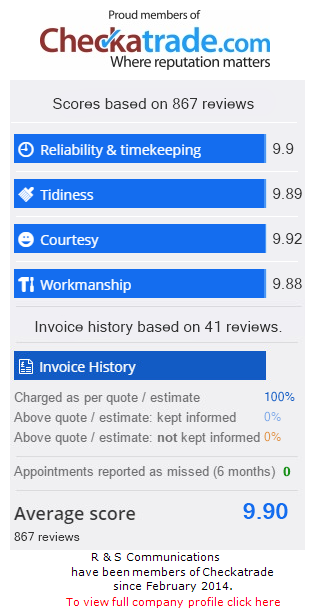 We have skills that have been acquired throughout our many years of working and have the knowledge that has benefited previous customers and helped to create a good business through reputation and previously satisfied customers. We install & repair TV aerials/sat dishes and all types of telephone repair and installation work. It has been our aim to keep our customers extremely happy this we achieve by very reasonably priced work at the very highest standards of workmanship & customer care at all times. Please call at no obligation, to find out more of our services and how they may help you. My original roots are from a very large communications firm marine side, working on overseas international telecommunications repairs on cable ships worldwide from 1977 until 1989-90. Then land based & further trained as a customer service engineer for the same company on their Southern Home counties division until 2004. I then went on to do sub contract work for the same company including some nautical work at Sea. Copyright © R & S Communications. All rights reserved.